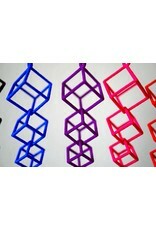 These unique dangle earrings feature three interlocking cubes. They were designed in a computer using mathematical software and then 3D printed just as you see them here. 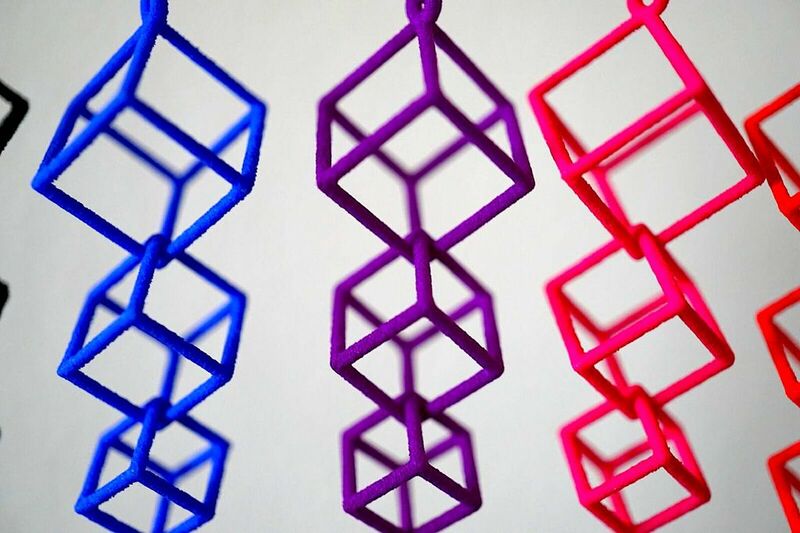 The earring was created using a laser sintering process that fuses the material together layer by layer, which only now enables such intricate interconnected designs to be fashioned. Available in purple, black, red, blue, or pink.